Sign up for Club Mango. Click the link below to go to their website. 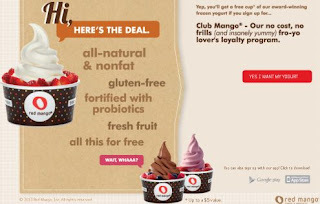 Once on their website click on, "Yes I want my yogurt"